OK, our yard is awesome. 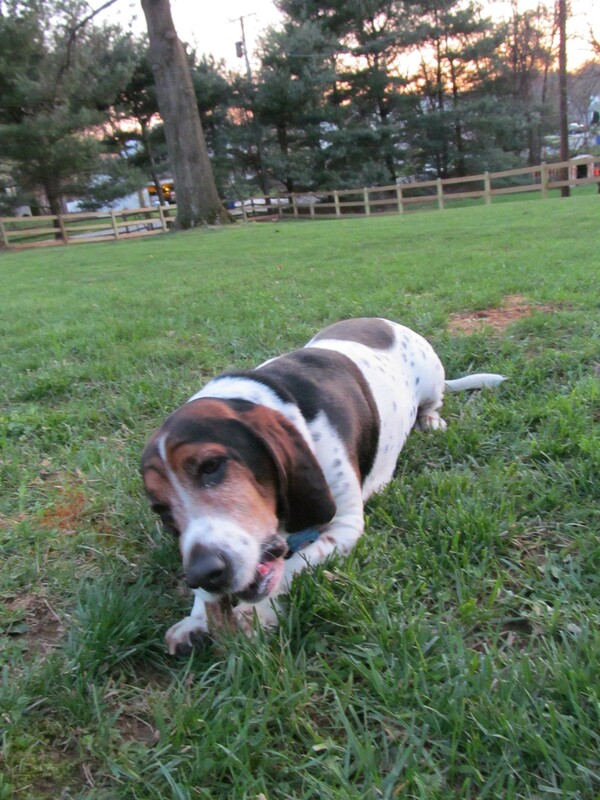 We hosted a mini birthday party for Chester, Remmy’s awesome doggy friend, and the two crazy dogs ran around the yard like maniacs (OK, Remmy ran like a maniac, Chester ran from Remmy). It was a really great time and I’m glad we are able to have such play dates because of our new awesome yard. The hubby and I really did hold out for the right house with the right yard — it’s definitely paying off. 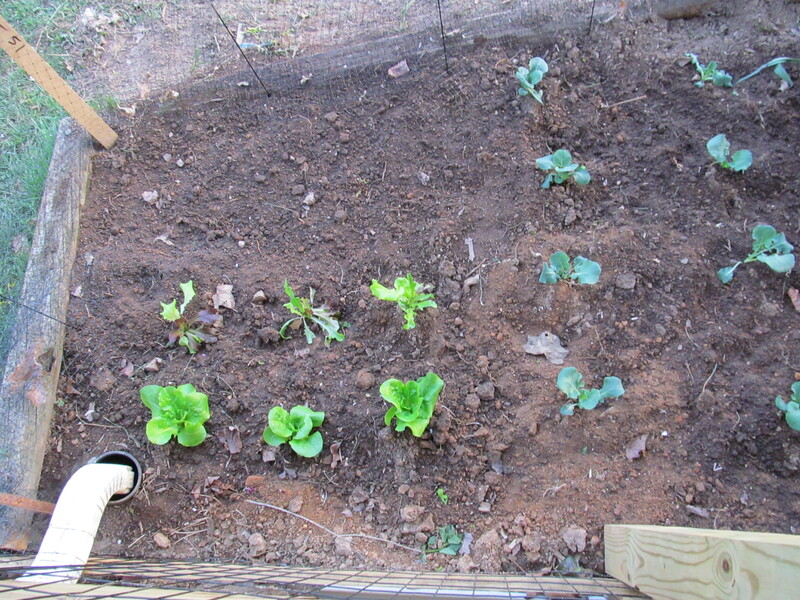 The entire right half of the garden is different types of lettuce. The darker plants on the right are broccoli and cauliflower. Mmmmm. It’s making me hungry just thinking about all of the fresh veggies I get to eat this summer. Maybe I’ll even try new recipes! … Maybe. The hubby made fun of me yesterday because I got the hose out to water my garden. He thought I was going to wash the grime off my fairly new car. I scoffed at him and said that Humphrey (my car) could wait to be cleaned, but my garden couldn’t wait to be watered. I love my garden! I can’t wait to plant more. I want an entire bed full or tomatoes! Mmmmm. 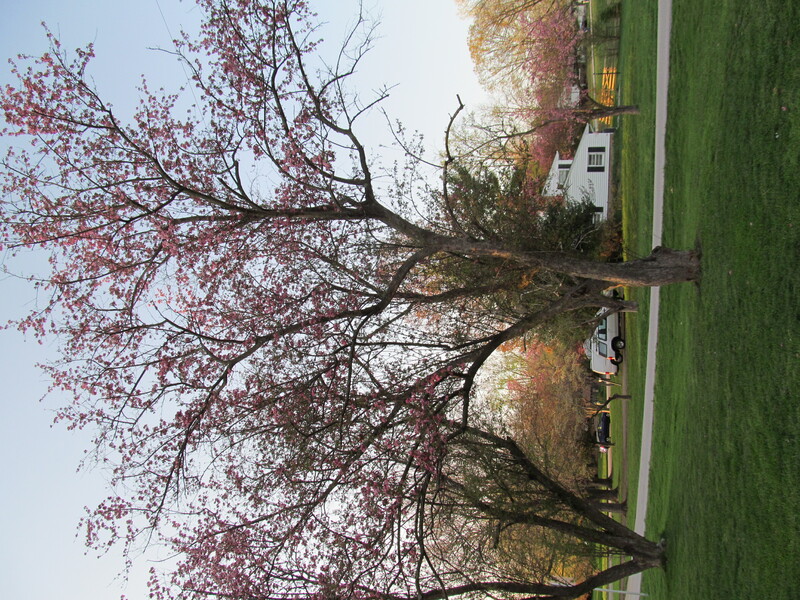 The last exciting part of my day yesterday was that the trees in our yard are starting to bloom. I mentioned a while ago how excited I am for spring because we house hunted in the dead of fall and winter. Well, I am liking what I’m seeing. Our trees in the back have little leaves and the trees out front have pretty pink flowers! Those are my trees and my flowers! Holy moley!!! 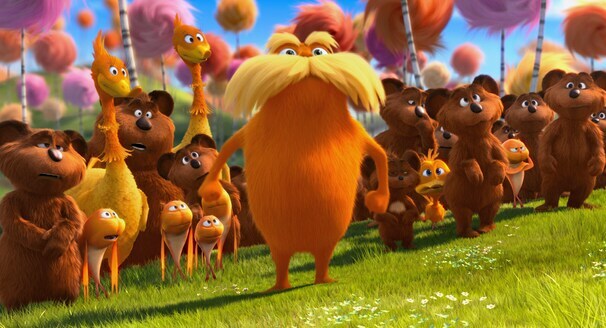 You should basically call me the Lorax because I am totally loving all of my trees. Speaking of which, does anyone know what kind of trees they are? I know our yard is going to be totally green and we’re going to gain a ton of privacy because I stalked us on Google Maps. Look at all the trees once they bloom. Yay! Happy spring! And happy Tuesday! Please invite me to the next bday party. We’ll have to have a puppy play date when you move back east!